When I was introduced to high-end racing bicycles in the late 1980s, I was enthralled by Campagnolo’s Super Record group. The form of each component was based on its function, but with added Italian flourishes like knurled surfaces and black accents. 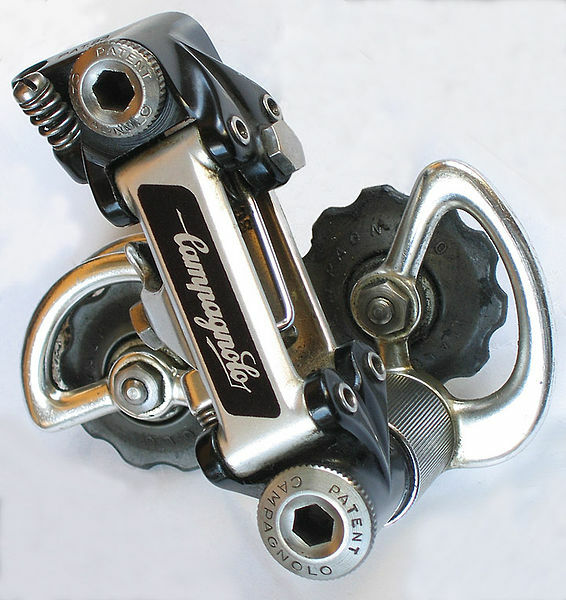 The rear derailleur, with its titanium bolts and elegant Campagnolo signature, was the ultimate bicycle component to me. When this classic group was replaced by C-Record, I did not like the smooth, streamlined shapes of the new parts. To me, they lacked the aesthetic purity of their predecessors. It was only a matter of time until I started looking for a classic bike, but my interest was met with disbelief. Bike shops in Austin, TX, said: “Yes, we see some older bikes come through once in a while, but why would you want one of those?” This was in the days before Craigslist and eBay, but I eventually found my childhood dream bike, a black 1978 Peugeot PX-10. 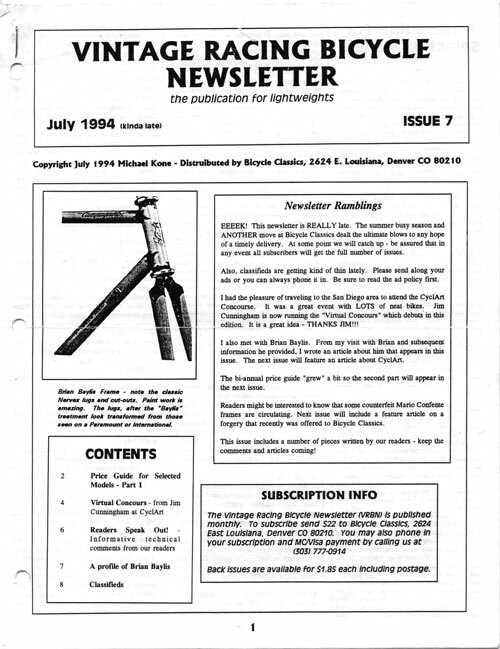 At the same time, a mail order shipment included a copy of the Bicycle Trader, where I found an ad from a new company called Bicycle Classics. I needed a longer 26.6 mm seatpost for my Peugeot and called the phone number. That is how I became one of Mike Kone’s first customers. When I received his flyer, I was amazed that you still could buy my dream components, new in the box. Mike and I hit it off immediately, and he became a big influence. When he heard that I was racing on inexpensive tubulars, he sent me a pair of Clement Criteriums: “Try them and report back.” That is how I discovered supple high-performance tires. 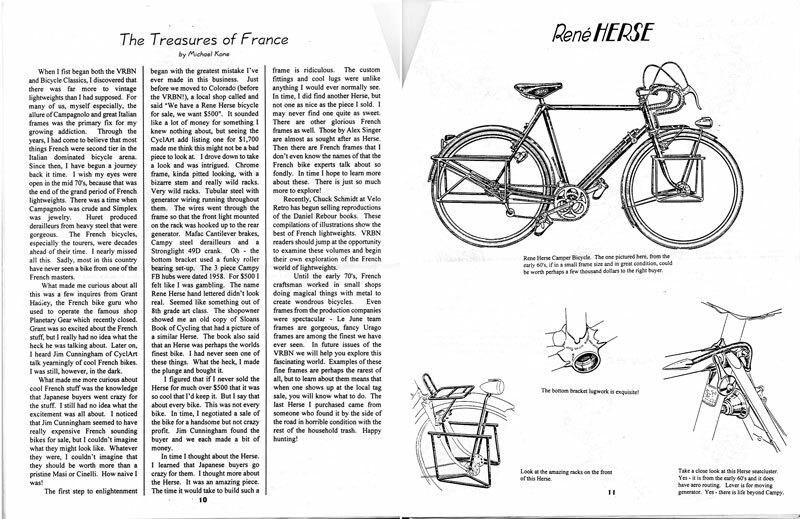 Then Mike started the Vintage Racing Bicycle Newsletter and wrote about a strange bike that he had found, called a “René Herse.” As his passion for the French cyclotouring bikes developed, I lapped up every word. Here were machines that combined my love for long-distance cycling with the performance and the hand-made quality that I appreciated in classic racing bikes. As a young student in Germany, I had dreamed of visiting Cinelli in Italy. I wanted them to make the ultimate touring bike for me. I wanted the very best bike (which in Germany meant a Cinelli), but I wanted it for the riding I loved (fast touring). Of course, that was a silly dream, because Cinelli did not make touring bikes… I was excited to discover that the bikes of my dreams existed: They were made by René Herse and Alex Singer, and they were even better than the bikes of my dreams. 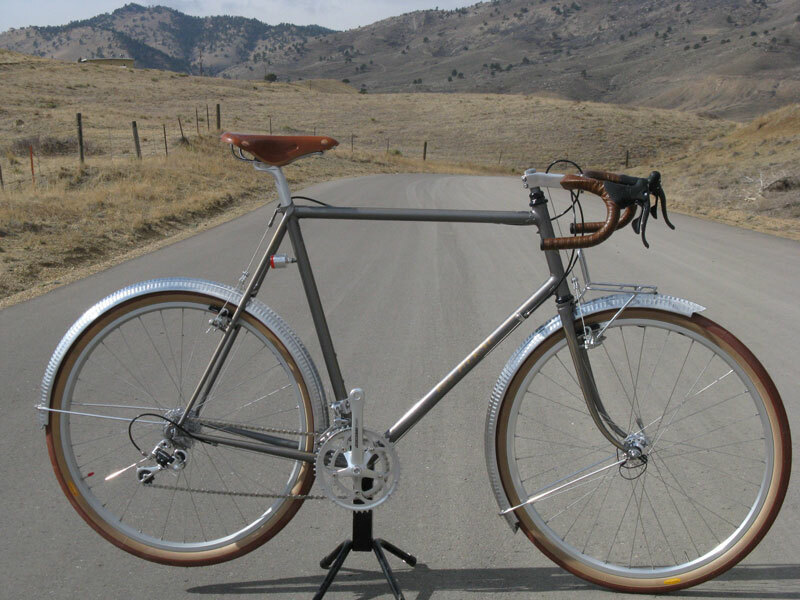 Almost a decade later, Mike’s company, Boulder Bicycles, makes modern René Herse Bicycles, like the one shown above. And I am making components under the Compass and René Herse brands. We still talk on the phone several times a week. Even more than my appreciation of the bikes, I value our friendships that have grown around them. 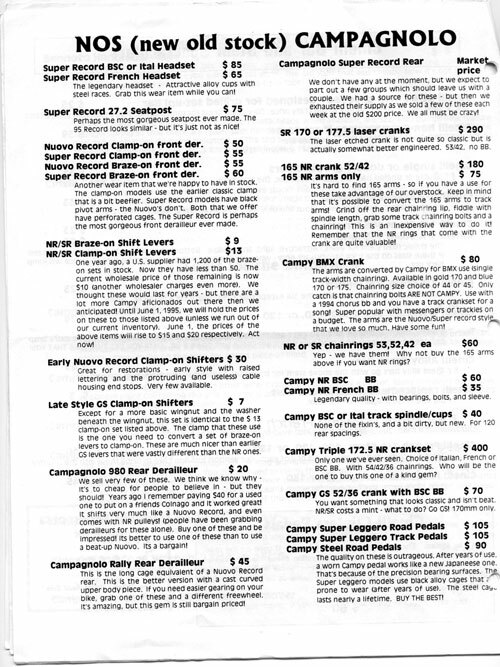 I found my way to Bicycle Classics in the early 1990’s thanks to an article in one of the bicycle magazines. This was when Mike Kone had his Bicycle Classics operation in Boulder. I continued to find him a good source for older classic Campagnolo Nuovo Record and Super Record components after he moved to the Boston area (including the purchase of a NOS Super Record component ensemble to equip a very nice Waterford W-13). Since he moved back to Boulder, his revival of the classic Rene Herse bicycles and his own Boulder Bicycle line are obviously of much interest. 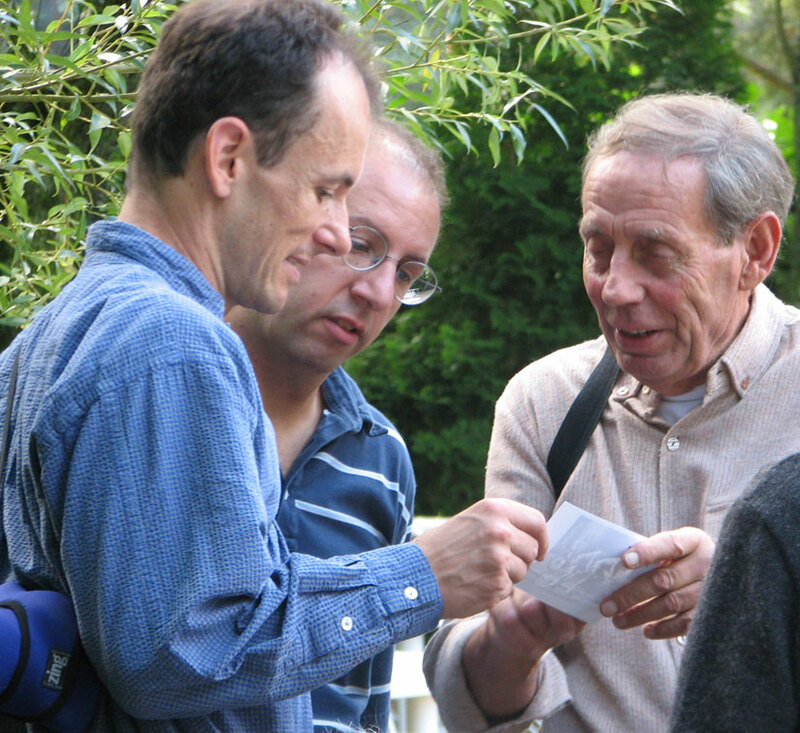 Mike is a good guy, and I’ve always enjoyed talking to him on the phone and appreciated the experience of dealing with such an interesting and informative person! Amazing to hear about this evolution of interest and discovery leading to becoming friends, collaborators, and manufactures. We are all lucky you are both pursuing your passions! Thanks for the good story about your friendship with Mike Kone. I became acquainted with Mike after ordering a Boulder Brevet frameset late last summer (totally sold on it after your story in BQ). I was impressed he could take a few minutes with me evaluating my needed frame size and recommended headset. He was surprised I own a bicycle shop, am a Waterford dealer, and yet wanted a Boulder for my personal bike. People who see my bike, with its Acorn handlebar bag, SON dyno hub and Nitto rack, say, “My, what a nice old-fashioned-looking bike.” My comment: It’s great someone is producing truly perfect bikes again. It rides and handles like a dream, and does not fatigue me on long rides.” Truly good bike stuff never goes out of style, and I’m glad you and Mike are keeping up the production of such fine products. I was one of Mike first customer’s and sold him some old campy parts I had and bought some campy stuff I wanted from him; as always, a wonderful person to deal with in every way. Bought a few items from him a month ago and he was a pleasure to deal with and talk to (IRD feewheel and TA chainring, plus I’m now the proud owner of a Berthoud Singer-style bag). I really want a Boulder someday.